Expertise: Operations, Corporate Strategy, Finance, Business Development, Legal, communications, IR/PR, R&D, Intellectual Property, Regulatory and Corporate Governance. 40+ years experience and former WCO Senior Technical Officer focussing on trade facilitation initiatives. Extensive experience as an international customs specialist working with public and private sector organizations on single window, coordinated border management, data/messaging standards, the Revised Kyoto Convention, the SAFE Framework, supply chain security and Globally Networked Customs. 35+ years experience in the design, delivery and oversight of international trade, economic dev, regional integration, policy & procedures, supply chain security, governance & gender. Former Deputy Director of Compliance & Trade Facilitation at the WCO, Exec. with the New Zealand Customs Services, board member on UN Center for Trade Facilitation and Electronic Business, Chairperson of the World Economic Forum Illicit Trade Council, and past V/ Chairperson of UN Security Council’s Cross Border Working Group. 30+ years as a business start-up specialist who creates growth thru organic and inorganic means and has created superior shareholder returns and several exits. Scott is a seasoned growth-oriented CEO & President in the cyber-security, mobile, and cloud software technology arenas. Strong focus on marketing products to the enterprise and governments with significant international business experience. 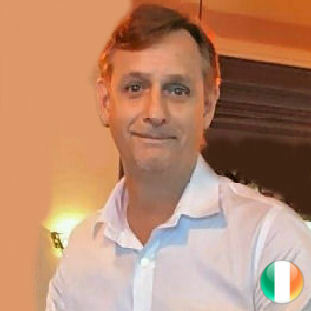 25+ years as a highly experienced Customs Internal Audit, Trade & Tax specialist in the areas of Revenue Processing Systems, Duties & Taxes, Customs & Border Management systems, Trade Facilitation, Non-Tariff Measures and Protections & Indirect Taxes. Customs IT Manager, ISACA qualified Information Systems Auditor, and qualified Systems Analyst with extensive experience working in New Zealand, Philippines, Laos, Vietnam, Bhutan, Bangladesh, Nigeria, UK, Angola and Afghanistan. Executive level Customs consultant focusing on business analysis and systems development with Director General level experience in Customs project management, program development and border operations. Certified Project Management Professional-PMP. 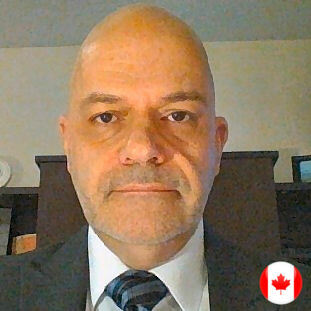 30+ years as an International senior level expert in Customs Modernization, Trade Facilitation, Commercial Fraud, Border Security, and Capacity Building and a diagnostician in customs procedures. Team leader with the CARIFORUM Regional Projects and former Permanent Secretary of the Caribbean Customs Law Enforcement Council (CLEC). 20+ years of experience as an international consultant and IT project manager, with specializations in customs, judicial systems, and procurement modernization. Worked in more than 15 countries in Asia, the Middle East and South America including key Customs projects such as the uCustoms Modernization in Malaysia and the Integrated Risk Management System in Trinidad and Tobago. Has a functional knowledge of 6 languages and holds PMP, CISSP, and ITIL certifications. 35+ years senior leadership in Customs Intelligence, Risk Management, Border Operations and Corporate Security. Senior level Consultant focussing on Internal / Corporate Security, Border Enforcement, and Customs Intelligence. Senior Security Analyst at Privy Council Office of Canada’s Departmental Security Office Development Initiative. Director General of the CBSA’s Security and Professional Standards Directorate. Director of the CBSA’s Intelligence and Risk Management Division. Extensive experience in Customs policy and program development. Executive lead for the development and implementation of the CBSA’s National Risk Assessment Centre. 30+ years experience in Customs and Trade Facilitation matters, particularly in value-added business process automation. Experienced in system post implementation evaluation and review. 8 years managing the Information Systems and Telecommunications Service for The World Customs Organization (WCO). Practiced in the development and deployment of IT applications. Experienced in research and deployment of cost effective solutions with emphasis on open-source technologies for organizations in developing countries. 28+ years of experience as a Border Management professional at the Officer, front line Supervisor, Operational Chief, and Director levels. Significant expertise in inspection technologies and risk management methodologies. Commander for the arrival of a migrant vessel arrival on Canada's west coast. Assigned to the Canadian Embassy in Bangkok, Thailand heading the CBSA's team assembled to disrupt human smuggling activities in Southeast Asia. Helped implement the first mobile gamma-ray imaging apparatus in Canada and assisted in the national implementation of a large-scale imaging program. Provided consulting services as a risk management specialist for the Customs Border Management Services in Haiti, Bangladesh, Saudi Arabia, and the CBSA National Targeting Centre. Accomplished senior consultant leading multiple major projects. Expert in Intelligence, National Security, IT Development, and Cargo Threats. Experience managing software development / operational projects. Led the development of the import risk targeting solution at the U.S. Consumer Product Safety Commission, implementing the first ITDS web services data exchange with U.S. CBP. Manager and analyst at the U.S. Office of Naval Intelligence (ONI). Led the effort to build and operationalize a global cargo information system. Five years active duty in U.S. Army Intelligence including the U.S. National Ground Intelligence Center (NGIC) and overseas deployments. 30+ years experience in Border Management, Customs Policy and Program Leadership. Accredited WCO expert, delivered Strategic Trade Control /Enforcement training and was an advisor/facilitator for the WCO’s Virtual Customs Orientation Academy. 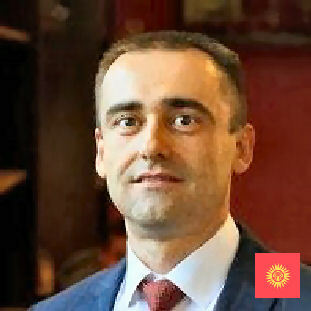 Former Chairman of the WCO’s Commercial Fraud Training Materials Project Group. Recognized Customs Expert – U.N. Nations Security Council Sanctions Committee. Expert on Customs criminal investigations and risk management. Significant Customs international liaison and capacity building experience. Extensive international experience in customs capacity building. 20+ years as an International Trade/Customs Advisor and former U.S Customs and Border Protection Supervisor/Instructor and International Trade Subject Matter Expert. Customs Expertise in Valuation, Classification, Rules of Origin, Free Trade Agreements, Drawbacks, Intellectual Property Rights, Textile Verification Audits, Trade Facilitation, Capacity Building, and WCO Guidelines on the Development and Use of a National Valuation Database as a Risk Assessment Tool. 35+ years experience in customs program delivery, border operations and policy development. Former senior executive with Canada Border Services Agency. Accredited WCO Customs Modernization Advisor. Successful launch of Barbados Electronic Single Window in January 2017, including public outreach and the delivery of private and public-sector training. Substantial experience liaising with and assisting exporters, importers and foreign governments on sensitive trade issues. Expertise in developing and strengthening performance measurement tools, key performance indicators (KPIs), and reports. 20+ years professional experience in the shipping and logistics industry. Trained in business, analytics, and computing /information management. Executed successful international launch of Australia's Port Community System model and has Provided education and training on the benefits on a PCS. Contributed to APEC single-window and cross-border trade initiatives. 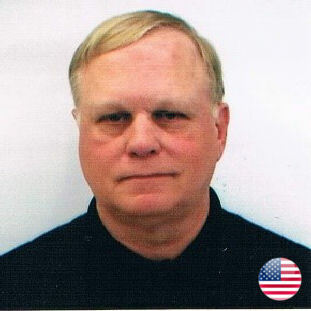 35+ years experience managing Customs and border enforcement programs and processes. Experienced in directing complex and sensitive, administrative internal affairs investigations. Skilled in drafting border enforcement and integrity programs, policy and procedures. Strong communicator with ability to build rapport with senior management, stakeholders, legal professionals, internal/external clients, law enforcement and foreign governments. Experienced Customs / Border Technical Trainer and Training Developer. 15+ years of Enterprise & Business Architecture Experience. Extensive technical and business experience working with various system engineering applications (VB .Net, IBM’s Operational Decision Manager (ODM) v.8.7, among others). Significant experience managing projects and leading technical and business and systems analysis. Skillful facilitator and trainer, having led several JAD sessions and training sessions. Furthermore, he holds a TOGAF certification for Enterprise Architecture and is a TOGAF trainer. Involved in the development of a Business Rules Management System (BRMS) for the Canadian Border Services Agency (CBSA) using IBM’s Operational Decision Management (ODM). 10+ years in Data Science, Fraud & Security Intelligence Data mining. Architected, designed and delivered Project MEP – Drug Prediction of Methamphetamine, Ephedrine and Pseudo-Ephedrine in Air Imports using Electronic Cargo Information (ECI) data. Award holder of Certificate of Merit by WCO in 2017 for building Offline Analytics Environment (as part of Joint Border Management System) and building Drug Prediction advanced analytics models. Experienced manager and project leader with excellent client interaction, team management and group facilitation skills. 37+ years experience in Customs Capacity Building and Border Modernization. Experienced Customs Technical Trainer including extensive international drug interdiction training. Cap Haitian, Haiti Customs - Support Program Field Office local staff through training on office functions. Customs and risk management expert in Guatemala Capacity Building project. 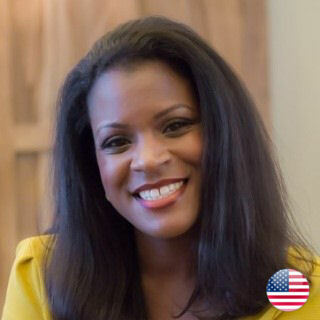 Experienced business analyst with missions to Guatemala, Belize, and Nicaragua, through the Organization of American States (OAS) Inter-American Committee Against Terrorism (CICTE). Border liaison officer representing the CBSA in Hong Kong and Miami. Trained HMRC staff and worked with the EU, Brazilian Customs and US Customs & Border Protection with their AEO/CTPAT programmes and awarded the WCO Certificate of Merit. Held key positions such as International Trade Development Liaison Officer, Custom Audit Higher Officer, and VAT Auditor. 15+ years experience as an Information Systems Analyst, Software Engineer, and Application Analyst. Technologies used: Oracle SQL, MSSQL, Informatica PowerCenter, SQL Server BIDS, Microsoft SSIS and SSRS, WebFOCUS, Unix, Windows Servers, .Net, IIS. +17 years experience in the field of Customs Automation Systems and deployment (ASYCUDA++ and ASYCUDA World modules) and support for ASYCUDA system. Professional Software Engineer with expertise in planning, analysis, design, development & implementation, testing and maintenance of software applications. 3+ years' experience as an IT Consultant UNCTAD. Experience in upgrading mission critical applications in a production environment (Romania, Moldova, Albania, Afghanistan, UK-Gibraltar, Kosovo and Kazakhstan). Expert in ASYCUDA++ and ASYCUDA World. Comprehensive understanding of SO Class, JAVA, Pascal OOP, SQL programming languages, ORACLE RDBMS, and multiple development platforms. 35+ years experience in Customs Management, Border Processing and Modernization. Over 18 years of experience managing complex projects, including business transformation, IM/IT initiatives with overall budgets of $10M or more. Expertise in assessing business needs and translating requirements into systems functional specifications. Bilingual senior executive responsible for establishing reporting structure and oversight committees for initiatives under the Canada-US Border Action Plan “Beyond the Border". Leading business requirements and visioning sessions including use case development. Skilled at assessing business improvement and implementing change and transformation in service delivery. Project Management Certificate -University of Ottawa. 35+ years experience in Customs Management, Border Processing, Operations and Modernization. Significant executive-level experience leading Customs organizations responsible for front-line border processing. Experience in the analysis of organizational service standards and optimization of Customs business services and performance. Broad experience at the management level in the field of law enforcement and criminal intelligence management. Demonstrated ability to build relationships and enhance mutually beneficial internal and external partnerships. Expertise in strategic planning and implementing strategic border initiatives. 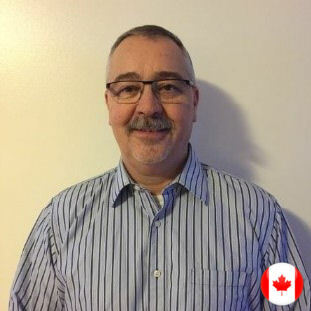 Responsible for leading the re-creation and formalization of the CBSA’s national mobile border enforcement team and vessel /container examination programs. 30+ years of experience developing and implementing Customs and international trade capacity building initiatives, competency-based leadership development and talent management frameworks. Former World Customs Organization (WCO) Senior Technical Officer, Canada Border Services Agency (CBSA), Director of International Affairs and CBSA, Director, Commercial and Trade Operations. Practical knowledge and understanding of Customs and trade facilitation international agreements, conventions and standards. Accredited WCO expert as Customs Modernization Advisor and Customs Diagnostic Facilitator. 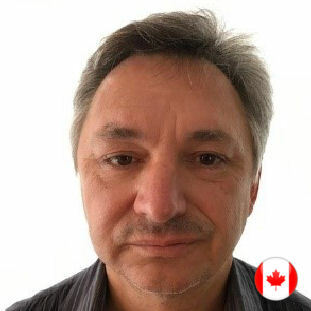 15 years of international experience including 8 as hands-on capacity-builder in Africa, Asia and the Americas and 3 as Counsellor, Border Services, Mission of Canada to the European Union. Masters Degree in Public Administration (in progress). : "International Comparative Study of Border Management University Curricula¨. 34+ years experience and leadership in Customs Investigations, policy and program development, project management, compliance verification, legislative change and training. Extensive experience in criminal and administrative investigations. Accredited advisor under WCO Columbus Program (Capacity Building). Director of Criminal Investigations for the CBSA and lead for a Task Force working with the Dept. of Justice in civil litigation action against the Tobacco Industry. 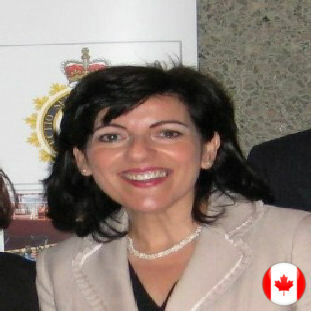 Senior Investigator with the Office of the Public-Sector Integrity Commissioner; developed the Investigations Manual for the Commission. Senior Policy Advisor, Policing and Law Enforcement in the Office of the Solicitor General. CBSA Manager, Policy and Legislation, Enforcement Operations. Certified Fraud Examiner /Responsible for development and delivery of the national training program for CBSA investigators. 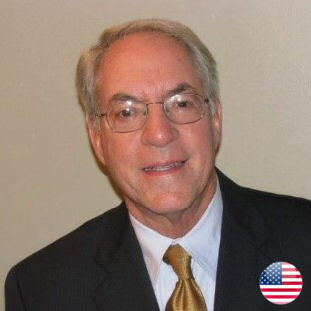 35+ years experience as an Internationally recognized expert in customs and international trade regulation. Experienced in border control and reform, trade capacity building and trade facilitation measures, negotiating and implementing regional trade agreements, planning and development of “single window” programs, single administrative document programs, foreign trade statistical collection requirements. Responsible for managing complex projects, including planning, program implementation, international negotiation and conflict resolution. Directed the United States contribution to the development of the Harmonized Description and Coding System, a multi-lateral classification which serves as the basis for the customs tariff and foreign trade statistical programs for the United States and over 200 other nations. At the request of the President, directed the preparation of the Harmonized Tariff Schedule of the United States. 33+ years experience in Customs Trade and Tax Compliance programs, processes and policies. Significant expertise in post clearance audit (1994 one of the engineers that developed and implemented the Post Clearance Audit program in Canada), compliance verifications, drawbacks, valuation and classification. 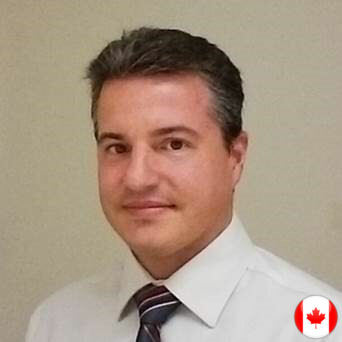 13+ years as Manager of the CBSA’s national Origin and Valuation Audit unit and tax programs. Extensive experience building capacity internationally in the areas of trader facilitation, rules of origin, trade compliance verification and free trade agreements. On behalf of the Inter-American Development Bank, developed an Origin Verification Manual and related verification programs and delivered the material to Peru’s government officials. Under the USAID initiative - developed a guide for the government and public-sectors on the U.S. - Colombia Trade Promotion Agreement. 40+ Years experience in Customs, International Trade and Logistics. Executive level experience in leading the delivery of policy and process improvement in both the public and private sectors in the field of regulatory compliance for customs, biosecurity, and transport security. Executive Director, Customs Brokers and Forwarders Council of Australia. Director Australian International Trade Transport and Industry Development Fund Ltd.
Master of Justice, Faculty of Law, Queensland University of Technology and Advanced Diploma of Australian and International Trade Facilitation. Significant experience in developing strategic policy and advisement on key border modernization issues such as Single Window and Trusted Traders. 15+ years of full software development life cycle experience – in Customs and Trade Facilitation focused projects including Customs Single Window systems in Tajikistan and Guyana. 15+ years experience as an international IT consultant, with expertise covering ICT, Trade Facilitation, Single Window, and transport sector. Relevant projects include ATW (US); ICT/F, WCO Data Mapping, and Governance/WG consultant in a series of Customs Single Window designs, implementation projects in Central Asia, ADB-financed Regional Improvement of Border Services Project, as part of the regional CAREC initiative. 35+ years experience in Customs Modernization, policy & process, operational management and Revenue Leakage; including 20 years in management roles with the Australian Customs and Border protection Service. Former Head of Customs and Trade at Tongan Customs Service, and long-term adviser to Solomon Islands Customs Service as part of the RAMSI Customs Modernization Program. 36+ years of experience as a Customs expert in Risk Management, Targeting and international liaison / operations. Deep domain expertise in Customs and Border risk assessment, human smuggling and data analysis techniques and methodologies. CBSA Liaison / border integrity officer in locations such as Pakistan, South Africa, Tokyo, West Africa and Panama. International Consulting expertise to enhance border security in Saudi Arabia and UAE. Former Australian Customs and Border Protection with expertise in Compliance and Audit. Experienced international consultant with Customs modernization assignments in Tonga, Papua New Guinea and Solomon Islands. 47+ years experience in Global Customs and Border modernization. Domain expertise includes Risk Management, Anti-Smuggling, Revenue Leakage, Policy & Procedure Development, VAT and Intelligence. International projects include Customs capacity building and development in Kosovo, UK, Bangladesh, UAE, Bosnia and Serbia. 24+ years’ experience in Global Trade Services for FEDEX and Western Europe Operations Programs for DHL Worldwide Express as well as Former WCO Office of the Secretary General, Chief Financial Officer responsible for finance functions, including the development of strategic initiatives. Functioned as a key interface between the WCO and international development partners on Customs modernization such as the IMF, the World Bank, the IADB, the European Union, the US State Department, the Japan International Cooperation Agency (JICA) and the Japanese & Korean Customs Cooperation Funds. Our talented development team based in Ho Chi Minh City, Vietnam! Interested in joining our team? Contact our Chief Services Officer here.